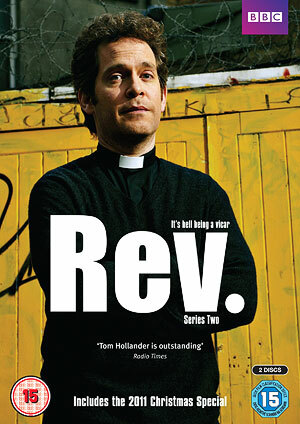 We’ve been catching up with the comedy series, Rev. If you’ve not seen it before, the BBC series revolves around a Church of England priest called Adam, played by the talented and watchable Tom Hollander, who becomes the vicar of an inner-city London church after leaving a small rural Suffolk parish. Last night, we watched an episode where the local church school is up for religious inspection and the headteacher, Ellie, is confident that they will pass with flying colours, thanks to the inspiring new teacher Mr Feld. The only problem for Adam is… he’s an atheist (albeit an ‘angry’ but popular and cool one).